Like café au lait and green apple yogurt, unpredictability is characteristically French. Like the country itself, all three are simultaneously sweet and bitter to the taste — and just delicious enough to lure you back, time and time again. France has been the most visited country in the world for nearly 40 years. The fact that a region so known for exceeding expectations can devastate them with such smug cruelty is yet another of the many, many paradoxes that define this infuriating, enchanting place. I had a number of expectations for this trip. After all, how could two weeks in France with my best friends produce anything less than pure enjoyment? All the signs pointed to a relaxing European getaway: cars, trains, ferries and accommodations booked. The early summer temperatures guaranteed sun and warmth. 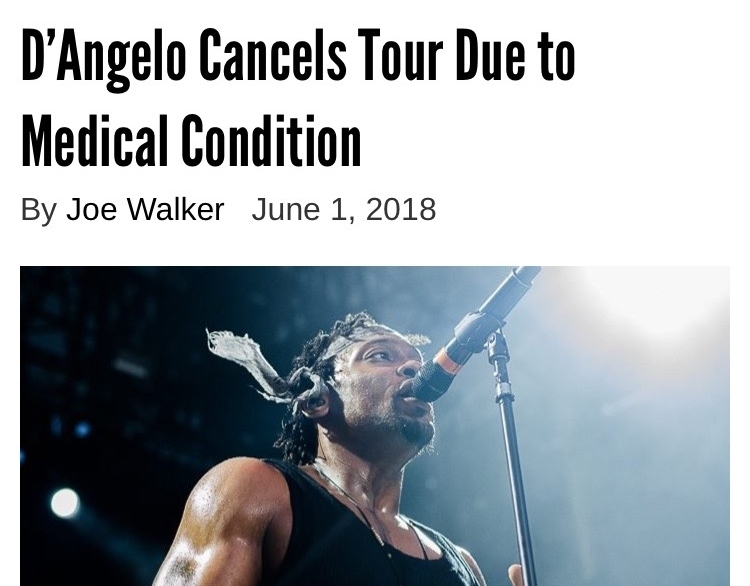 And to top it all off, tickets to D'Angelo in Paris on the last night. How foolish I was. How silly of me to forget that the only thing a trip to France is guaranteed to bring is a brutally harsh reminder that nothing — absolutely nothing — is ever guaranteed. This time, that reminder came before I even touched down on the tarmac. A news headline from May 30 — two days before departure. I'd always wanted to see Lyon. Due to the nationwide train strike, I finally got the chance to see it during the two-hour gridlock detour we took through its core on our 12-hour drive from Paris to Provence immediately following our sleepless overnight flight from Halifax. French waiters at a corner café in Lyon doing what they do best: not working. Just after midnight that night, we arrived exhausted in Bonnieux to our apartment which was etched into a giant slab of 1000-year-old stone. The next morning, we set out to explore the Luberon region. And that's when it happened. The rain having forced us to retreat, we spent the next few days exploring the villages and towns around Provence by car. The charm of these towns cannot be overstated, and their beauty cannot be dulled — not even by torrential, relentless, monsoon-style rain. Overlooking the Luberon from Bonnieux's highest peak. The staggering beauty of Gordes. A café overlooks the Chapelle des Pénitents Blanches in Îles de la Sorgue. A square behind Avignon's Papal Palace throbs with activity. With an average 300 days of sunshine per year, Nice is usually sun soaked. This particular day, though, it was just soaked. It wasn't normal. It wasn't right. It wasn't Nice. By 7pm, though, the sun had somehow managed to emerge through the dense cluster of brooding clouds. By sunset, I was strolling through the cramped streets of Vieux Nice as I had so many times before: my skin sticky with Mediterranean salt and kissed by the French Rivieria sun. It was normal. It was right. It was Nice. The ruelles of Vieux Nice. White-knuckling roads snake through spiking mountain peaks. Crumbling fortifications dangle from domineering cliffs. Waves as warm as bath water and as clear as freshly-cleaned glass coats the white sand coastline. This is Corsica. Bold and brazen, majestic and mysterious, sparkling, stunning Corsica. Bonifacio's dangles from the island's southern tip. Sunrise in Saint Lucie de Porto-Vecchio. Les Aiguilles ("The Needles") of Bavella. La plage du Petit Sperone. Corsica's landscapes are drastic and rugged, its cuisine unique, its weather varied. With a language, flag and history entirely its own, its easy to forget that this island is technically a part of France. And its people — proud, defiant and stubbornly anti-French — do little to dissuade that tendency. Since no part of France is more French than Paris, it only makes sense that the most foot-stomping, table-flipping, blood-boiling disappointments would be saved for our final two days in the City of Light. In retrospect, I should have known something was up. Things were going too well. A beautiful morning drive through the lush Corsican countryside followed by a peaceful flight to Paris, and a largely uneventful cab ride to the Marais. Within an hour of landing, I was sipping on the best coffee of the entire trip, after receiving the finest meal I'd had in France, as well as the finest service. Our waiter in Paris was uncharacteristically delightful. I should have known. We finished just in time to check in to our airbnb up the street. With barely eight hours' sleep between us, it was the promise of a quiet nap that powered us as we schlepped our combined 200 pounds of baggage over the four flights of stairs. Having arrived at apartment no. 7, we were puzzled to find no key in the lockbox. I logged on to the host's wifi to reach her by email. and that's when it happened. The message had been sent the previous day. I hadn't received it because the WIFI in our apartment had been knocked out hours earlier by a vicious thunderstorm. Turns out that the City of Paris limits airbnb hosts to 120 reservations per year. Ours was #120. After an hour of frantic scrambling, we found a hotel at double the price we planned on paying. Too exhausted to stand up, we opted not to walk the few blocks and instead opted for a taxi. After twenty-five minutes, and having travelled from the right bank to the left bank and back, the driver explained that the detour was due to the major thoroughfare having been closed because of a week-long protest over — and I quote — "nothing in particular". We arrived in our new digs in a silent stupor. But not even delirious fatigue could keep us from soaking up the charms of a late evening stroll along the Seine. Most of the next day was spent strolling. In le Marais, we sat and watched the world's most stylish parents cart their croissant-devouring kids home from school on scooters and cargo bikes. The scene, the moment, the day — everything was perfectly Paris. We got back to the hotel with a couple of hours to spare before the concert. With plans for a pre-show dinner in Montmartre, I debated between a shower and a nap. I looked up the venue information to find out which metro to take. And that's when it happened. It was my fault. After all my experience in France, I should have known that a train ticket is no guarantee of a train ride any more than a forecast guarantees good weather, or a reservation a place to stay, or a concert ticket an actual concert. I should have known going to France that any expectations I had would be shattered — after all, like green apple yogurt and café au lait, shattering expectations is what the French do best. So here I am at home after my fourth trip to France, drained, exhausted, exhilarated. As usual, I look back on the past two weeks, and somehow it is not just the cancelled trains I remember. It's not just the sheisty cab drivers and narrowly avoided collisions. I do remember all of that — vividly, sorely — but I also the staggering sights that made each destination worth the nauseating, infuriating journey it took to get there. As always, I remember the inexplicable contradictions of this land, its stupid laws, its stupefying beauty. I remember the whole glorious, filthy, godforsaken mess of it all. And, for all the devastating wounds and scars I've endured, I know full well that I'll be crawling back for more.